Your workout queue is where all the action starts. Browse and choose from our entire library of workouts and preset plans. Create a personalized plan to cover the next 4 weeks. A combination of both above. Go to the Search tab and choose Create Personalized Plan or Browse All. You can also trigger these options directly inside your Workout Queue. This feature allows you to build your perfect training plan. Build a plan based on the goals you have, areas of the body you want to focus on, amount of days available and time you have to workout. You can also turn off certain equipment options that you may not have access too. So simple, yet super powerful. Workouts, preset plans and your favorite workouts. 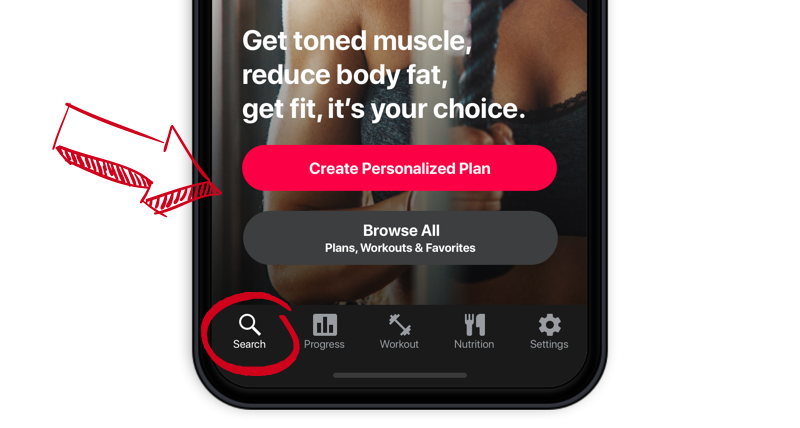 Quickly find and add any workout from the expanding library to your queue. Add preset plans to your queue too! No restrictions, add as much as you wish to quickly build up an epic training plan. You will also find your favorites here organised in fat loss, muscle building and cardio. Your Workout Queue is smart. 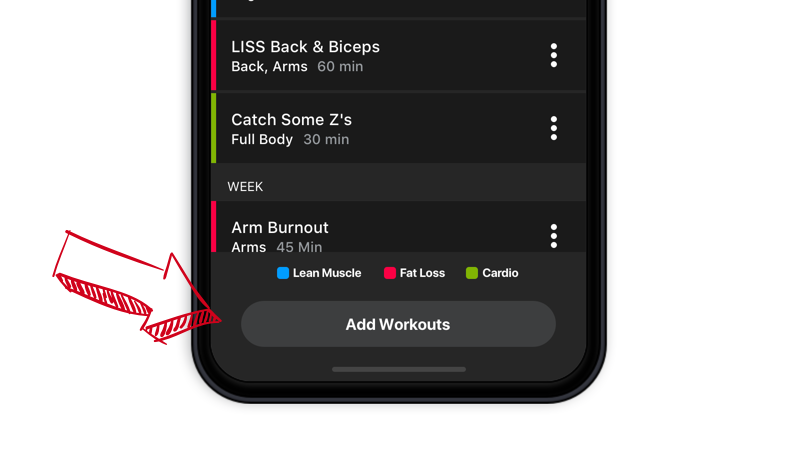 It will automatically calculate your calories & macros for each week based on what workouts you have queued up and the goal you want to achieve. Lose weight, maintain or build up.